This year’s Electronic Beats’ Fall Festival season is looking pretty sweet already, with our dates in Dresden, Vienna and Podgorica. Now we’re taking it up another notch. When we touch down at Zagrebački Velesajam in the Croatian capital of Zagreb on November 8th, we’re bringing you four names who will turn your evening into audio dynamite. Denmark’s Efterklang headline the night, filling the venue with their orchestral pop and making boys and girls alike swoon. The sweeping, theatrical beauty of last year’s LP Piramada should be a good primer for those who want to get a sneak preview of their live set. 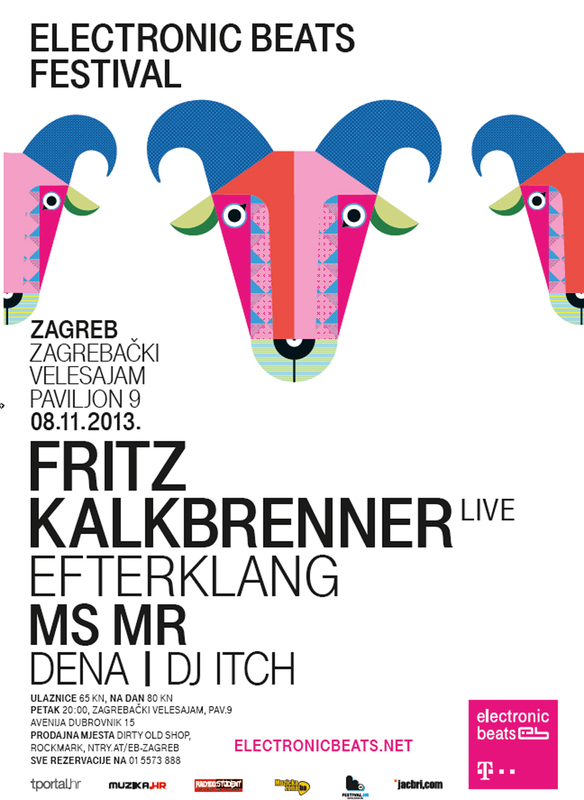 Berlin’s Fritz Kalkbrenner (brother of Paul) will also join in the fun with his sophisticated combination of soul, hip-hop and techno grooves. Up-and-comer Dena comes recommended as a don’t-miss pick by us as well. Bringing the flavor of ’90s R&B into the modern age with a flashy (but hardly trashy) vibe, her performance is sure to be one of the most singular (and, perhaps, most talked-about) of our festival series. MS MR round out the evening, and while the NYC-based duo have drawn comparisons to Florence & The Machine, we find their glammy pop decidedly more intimate and appealing. Come see for yourself! UPDATE: Unfortunately, all regular tickets have now sold out. However, there’s still a chance to get hold of the last remaining tickets via our voucher giveaway—go here for details.